The government of Hawaii currently follows a constitutional government reminiscent of the Constitutional Monarchy of the Kingdom of Hawaii in 1840, and the statehood model of the US Federal Government. The Hawaii Government's structure is decided by its constitution, and it follows a general republic model where the government is divided into three branches: the executive, legislative, and judiciary. The state government is considered centralized, with all of the executive powers almost concentrated on the Governor's office. Local governments are divided into four counties, though these could also act as municipalities at the same time. The current counties in Hawaii are: the City and County of Honolulu, Maui County, Hawaii County, and the Kauai County. The executive branch is tasked with applying the laws of the nation and state. The head of the state is the Governor which has a running mate of a Lieutenant Governor, and both are the only statewide elected officials in Hawaii. The Lieutenant Governor is voted on the same ticket as the Governor. The term for both offices last for four years, with a two-term restriction. The Lieutenant Governor is also considered the Secretary of State of Hawaii. As the head of the Hawaiian Government, the Governor has the power to appoint officials for the 20 departments set by the constitution. The heads of the different departments' terms are co-terminus with the term of the Governor, unless relieved of the position by the Governor before the term of office is up. Aside from the local department officials, the Governor also has the power to appoint justices to the Hawaiian Supreme Court and Appellate courts, subject to the approval of the senate. And in case of a vacancy in a senate or congress seat, the Governor can appoint a replacement, also subject to the senate's approval. As with any Governor or chief executive, the governor of Hawaii has the power to veto any legislation that the legislative branch may forward for enactment. The legislative branch for Hawaii is composed of 25 senators and 51 representatives across the different districts in Hawaii. The members of the legislative branch are elected by voters of the concerned district. Terms of office for representatives last for two years, while senate terms last for four years. There are no term restrictions for the legislative branch. Both houses are also tasked to vote for their respective leaders, the Senate President, and Speaker of the House for congress. The Hawaiian Legislature is not a full-time occupation as regular sessions lasts for only 60 days. So, most of the members of the Hawaiian Legislature usually have other occupations or businesses in their respective districts. Aside from creating and reviewing legislations for the state, the legislative, particularly the senate, is tasked with screening gubernatorial appointees for positions in the state government. This is one of the checks and balances for the power of the governor. The Hawaiian Constitution states that the state of Hawaii will have one Supreme Court, an appellate court, circuit courts, and district courts. Special courts are also present in Hawaii, such as the family court and the land court. The Supreme Court is composed of one Chief Justice and four Associate Justices. Positions for the Chief Justice, Supreme Court, appellate courts, and circuit courts are appointed by the Governor, with the approval of the senate. As mentioned, there are four local governments in the Hawaiian state. The model that these counties follow is the mayor-council model; meaning there is one mayor with several city counselors in each district. Each county is given some autonomy on governing the district within its vicinity, but taxation is still within the grasp of the central government. But this does not mean lack of autonomy. The budget for each city council is dependent on its representatives and the appropriation made by the local senate for each location. Hawaii has four representatives in the US Congress. The representatives comprise of one senior and junior senator, and representatives from the first and second congressional districts of Hawaii. The governor holds official residence in the Washington Place in Honolulu, Hawaii. The governor, lieutenant governor, and the Hawaii Legislature hold office in the Hawaii State Capitol. Federal agencies and offices are located in the Prince Kuhio Federal Building. Elections are held during November. State primaries are held in September. As mentioned, the only statewide elections held are for the Governor and Lieutenant Governor posts for the local state government. Other positions in the legislature and county governments are done per district through nonpartisan elections. Hawaii has voted Democratic for 10 of the 12 Presidential elections that it was a part of. So one can consider Hawaii to be a particularly Democrat state. The only years the state went Republican were in 1972 and 1984. As Hawaii relies on its natural resources for agriculture and tourism, there's an explicit mandate from the Hawaiian Constitution that states the protection and conservation of natural resources for future use. This includes use of water, land, and marine resources. One interesting note is the constitution's somewhat negative stance on the establishment of nuclear energy plants on the state, where such an establishment would only be allowed with the approval of two-thirds each from the Hawaii Senate and Congress. Hawaii also has provisions for education. It called for the establishment of public schools free from sectarian control, a state university, and public libraries. It also called for a state board of education whose members are assigned through elections from the two state school board districts. As such, being a member of the state school board is the nearest to a statewide election for public office aside from the governorship. A non-voting member elected by the State Student Union is also assigned to the state school board. The state is tasked to provide education about Hawaiian language, culture, and history. 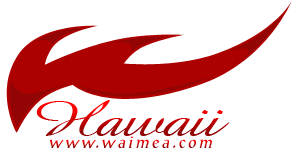 Hawaii also have specific charters for the care of the elderly, population growth, social and medical services, handicap assistance, and historic and cultural preservation. As for public safety, it has the law of the splintered paddle: "Let every elderly person, woman and child lie by the roadside in safety" as an ideal. Before it reached its current state as part of the United States of America, Hawaii was a kingdom, or autonomous state recognized by other nations, such as the US (at that time), Britain, France, and Germany. The first official government of Hawaii was the Kingdom of Hawaii, under the rule of Kamehameha. It was an absolute monarchy ruled by the royal family. Hawaii was previously composed of several kingdoms and chiefs, but it was Kamehameha I that unified Hawaii with the help of foreign weaponry in 1810. The Kingdom of Hawaii then shifted from absolute monarchy to constitutional monarchy. This was done under the rule of Kamehameha III in 1840, the year the Hawaiian Constitution was made. This called for a change in the system of government, where state power and responsibilities were subdivided to the executive, legislative, and judiciary branches. It also signaled the official dropping of the kapu system by the state. Troubles started for the Kingdom of Hawaii from 1887 with the Bayonet and Wilcox Revolutions that sought to change the constitution and take over the government. But it was the Revolution of 1893 that done the state over. With the establishment of the Committee of Safety, comprised by American and European settlers in Hawaii, the kingdom was eventually overthrown with the support of the US military. A provisional government was soon established, the Republic of Hawaii, under the leadership of Sanford Dole. Since then, Hawaii was annexed as a territory of the United States in 1901. But it was in 1959 when President Eisenhower signed the resolution to include Hawaii in the United States of America. Since Hawaii was recognized as an independent nation during the early part of the 19th century, there have been groups and movements clamoring for the separation of Hawaii from the US union. Several local groups have been advocating for independence given the controversial overthrow of the Kingdom of Hawaii in the past. This advocacy has gained some success, with the signing of the Apology Resolution in 1993. On that resolution, the US Government expressed regret and apology for its role in the overthrowing of the Kingdom of Hawaii. Though it has no legal implications thus far, the Apology Resolution was considered a victory for the people moving for Hawaiian autonomy. As such, the political history of Hawaii has had its ups and downs, but for the most part of the 19th century, it was an autonomous state with its own constitution and laws. One can say that when it comes to governance and a political system, Hawaii has one of the richest and well-established ones in the US. Though the issue about autonomy and the revolutions is still deep in controversy, one can't deny that Hawaii is one well-organized state.